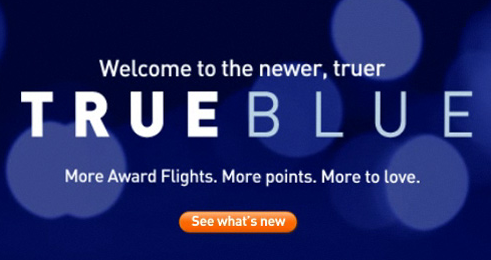 TrueBlue is JetBlue Airline’s revenue-based reward program that rewards the loyalty of its customers with free flights. TrueBlue truly is one of the most basic and easy to understand frequent flyer programs as it doesn’t have all the bells and whistle that really complicate things like many other programs. 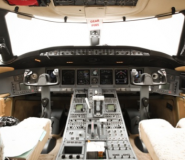 This program is also not as flexible or wide-ranging as other programs, especially from the world’s leading airlines. If you want to know more about frequent flyers programs and have them included in your flight research you should check out the brand new website 30k.com and their blog and facebook page. We discover 30k on this blog post. Although it is a basic program, TrueBlue allows users to accumulate flight points in different ways but the rules of earning in each way vary. Unlike most other frequent flyer programs, TrueBlue does not have an elite option for customers accumulating a lot of points. 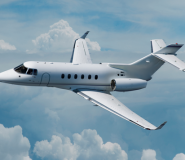 Points earned in this program are limited to flight awards, which are issued automatically. Signing up for the TrueBlue frequent flyer program is as easy as the program is – just create a username and password on their site and you will get an email with your TrueBlue account number and a detailed explanation of the program. Business travellers and those accumulating a lot of miles travelling domestically and abroad may not find TrueBlue frequent flyer reward program their best option. In this review, we will look at how to earn and how to redeem points on the TrueBlue program. You can earn JetBlue points by flying on JetBlue airlines, booking tickets on their website and by charging purchases on an associated American Express card. The number flyer points awarded are dependent on the length of the flight divided into three: short, medium and long flights. A short flight earns 2 points, a medium flight earns 4 points and a long flight earns 6 points. To earn points booking tickets online, you will need to go to jetblue.com and book a flight. Flights booked from the airline’s website earn double points. Customers also have the choice of buying additional points through the same website. JetBlue also has a partnership with American Express which I think is one of the best things about this program. By linking your TrueBlue account with an American Express card, you will be able to accumulate points while using your card while keeping your TrueBlue account active if you don’t fly with them over an extended period of time. Redemption of TrueBlue points is automatic as I mentioned before. When an account accumulates 100 flyer points on TrueBlue, JetBlue will automatically award the account holder with a free one-way ticket anywhere, even international destinations. At the moment, JetBlue’s flight destinations are limited to the Caribbean and Mexico. If you would rather not have the free one-way ticket, you can book an award travel on jetblue.com. I should mention that you can use these passes together and they are transferable although they expire after a year. Tracking and redeeming TrueBlue points is very easy. Passes can be used together for a round-trip or individually. The program is simple and easy to understand. The awards are divided in 2 passes which can be redeemed on 2 different flights. Different ways to earn points. Limited international routes to redeem points for. The airline automatically issues awards when an account accumulates 100 points. The redeemed points (awards) though transferable, must be used within a year after redemption. Tickets cannot be cancelled and miles cannot be re-deposited.